This is my AVRO Tri-Plane. I made this model back in 2016 and I have upgraded it to my level of work of today. 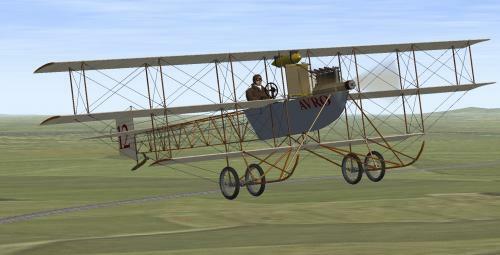 This AVRO Tri-Plane can be used in Vehicle Simulator and Canvas Knights games. Unzip with folder names on, go inside the ( ROEIV ) folder and drag the ( Roe_IV_Triplane ) folder into your VSF & CK game vehicles folder, if putting it into CK game then add the line in the allied.txt Roe_IV_Triplane and save it. Hope you all enjoy the AVRO Tri-Plane.